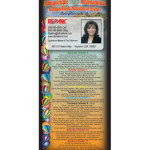 This is our original style “Business Card Attachable” Balloon Fiesta Daily Schedule Card measuring 4″ x 9″, vertically configured, printed Full Color both sides on rigid 14pt cover stock. 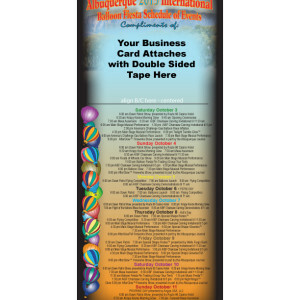 We attach a strip of double sided tape for you to then attach your business card in position. 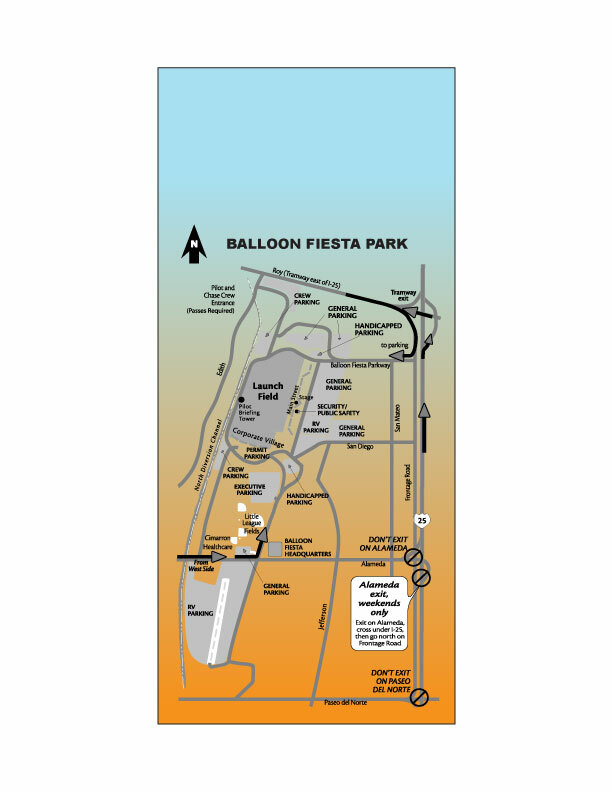 The reverse side includes the Balloon Fiesta Park Map printed in full color and for an additional fee an optional 1″x1″ magnet can be attached. 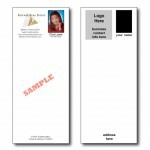 It then can be stuffed into a #10 envelope along with other items such as a newsletter, business card, etc. 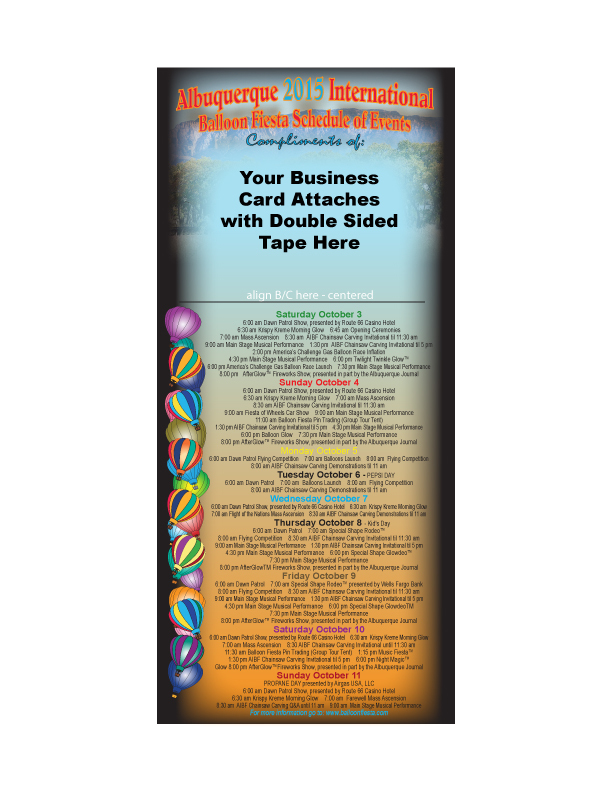 Available only by the group order. 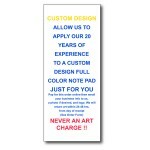 Please call for quote or download the order form. 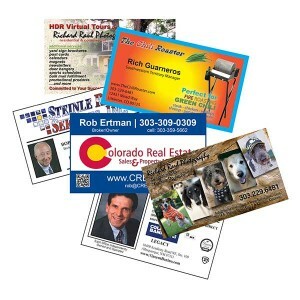 All prices include shipping and handling.